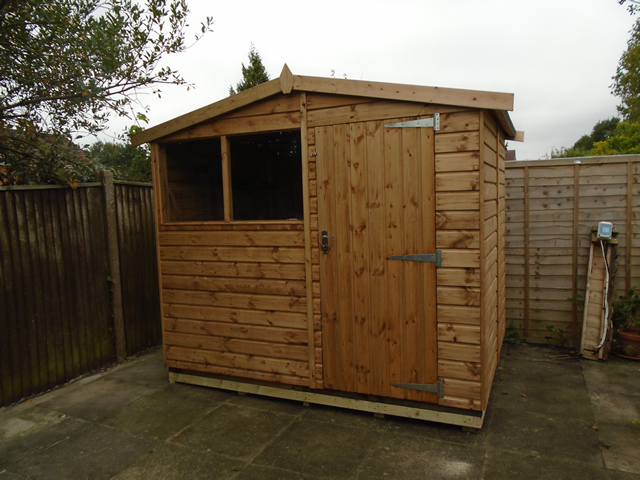 Here’s an installation of 6 x 8 Regency Ultra Shed that we installed for a customer in Crawley, West Sussex. 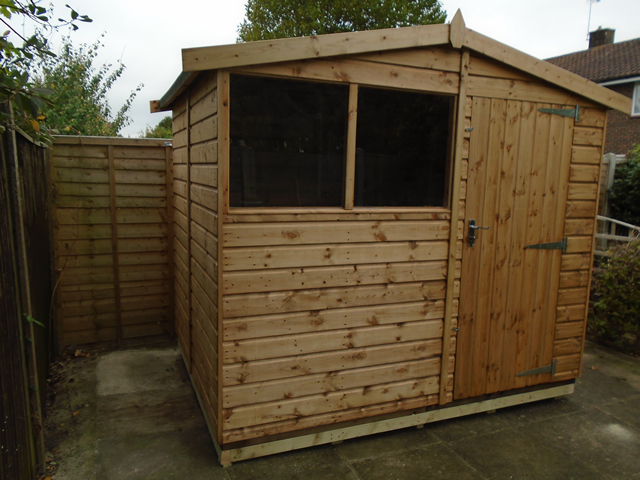 The Ultra features an attractive and versatile transverse apex roof and is available with a choice of door position. This particular building needed to be installed to the rear of a terraced property and all the panels were manufactured to size to enable us to get it through the house. Another example of how our bespoke garden building design service really helps our customers. Timber Roof and Floor, No Chipboard! 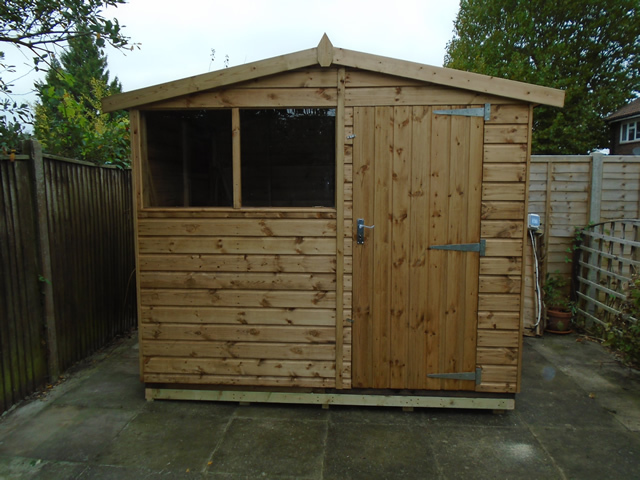 The building is pre-treated using Regency Golden Oak timber treatment, we stock this in 5 litre cans and recommend re-treating your building within a year of installation. The locking mechanism and handle shown is of a really sturdy quality. The building fitted really well in the corner of the garden, still with space around for access and maintenance. 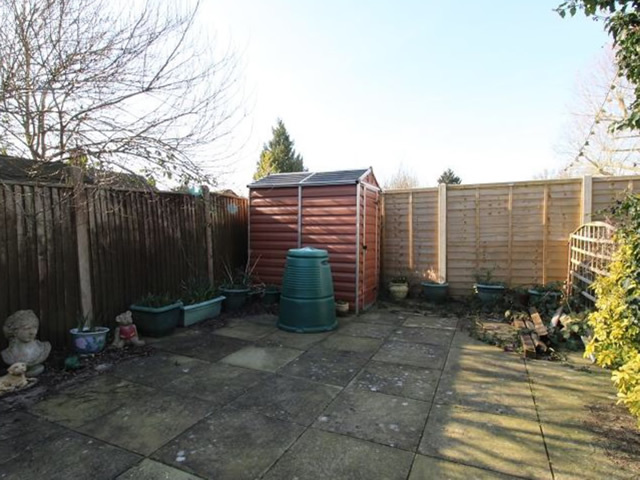 Before we arrived there was this small metal shed that the customer arranged removal of. We looked at the paving and advised to fit an easybase due to the level.